This article originally appeared in the Lapeer County Press on June 13, 2014. 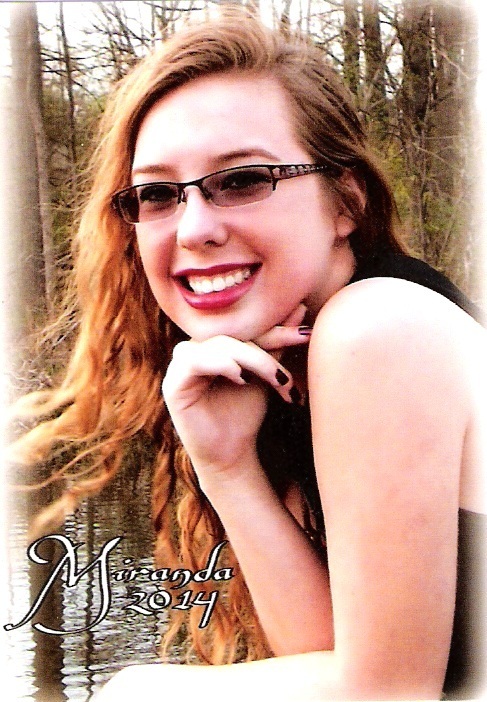 LAPEER, Michigan — Miranda Gavette is redefining sophomoric behavior. Gavette, who graduated in the top ten in her class at Lapeer East High School this year, is just a few test results away from achieving her goal: entering Alma College this fall as a sophomore. The 18-year-old from Attica is leapfrogging numerous general education requirements at the college level thanks, in large part, to her participation in the District’s Advanced Placement (AP) program. She is on track to earn at least 24 college credits before her first day of college as a result of an opportunity she calls a “double win” for students. Gavette started her experience in the 10th grade with AP Government and continued all the way through to the granddaddy of them all as a senior: AP Calculus B-C.
It’s a double win for dad, too. Lapeer Community Schools (LCS) has become a destination district for advanced opportunities in large part because of students like Miranda Gavette, who choose to be challenged every day. High school was an opportunity more than a formality, fast-paced, in-depth and exciting — getting out what she put in and then some. “AP moves at a quicker pace and keeps you interested the entire time,” she said. Students continue to come to Lapeer from all over the county to be a part of this program, and numerous other advanced opportunities unique to Lapeer. This fall, Lapeer High School will offer 16 AP courses – that’s more than every other district in the county combined. LCS Superintendent Matt Wandrie said that students who follow Gavette’s lead will be at a decided advantage over their peers after high school. For students who are interested in a different approach that can yield similar results, the District’s new twist on dual enrollment might be just what the Ph.D ordered. The College on Campus program is a partnership between LCS and several in-state colleges and universities that gives students the opportunity to take college courses (for credit) inside the traditional high school day – with district-provided transportation. The program offers free and low-cost tuition through University of Michigan-Flint, Eastern Michigan University, Baker College and Mott Community College. Many of the courses, taught by college professors, will be held at the District’s Center for Innovation (formerly Lapeer West High School). Sue Wilmers, the District’s Transitions Coordinator, said parents are as enthusiastic about the program as students. It’s a great opportunity to give students a jumpstart on college while saving a big chunk of money in the process. For example, a 13-credit program through UM-Flint will cost parents around $600. That’s a cost-savings of over $5,000. With student loan debt at an all time high (an average of over $26,000 per student), a recent study showed that Americans now owe more for college than credit card debt. Beyond the obvious cost-savings, Wilmers said, students become familiar with the college style of delivery and communication, group projects, research and investigations of local organizations, and some participated in job shadows in their fields of study. The college instructors post office hours and students learn to budget their time to study and to seek out assistance from the instructors or the tutors on a regular basis. “College on Campus is cost effective for students and parents, and we are confident that providing this opportunity to high school juniors and seniors is a perfect transition to life after high school,” Wilmers said.